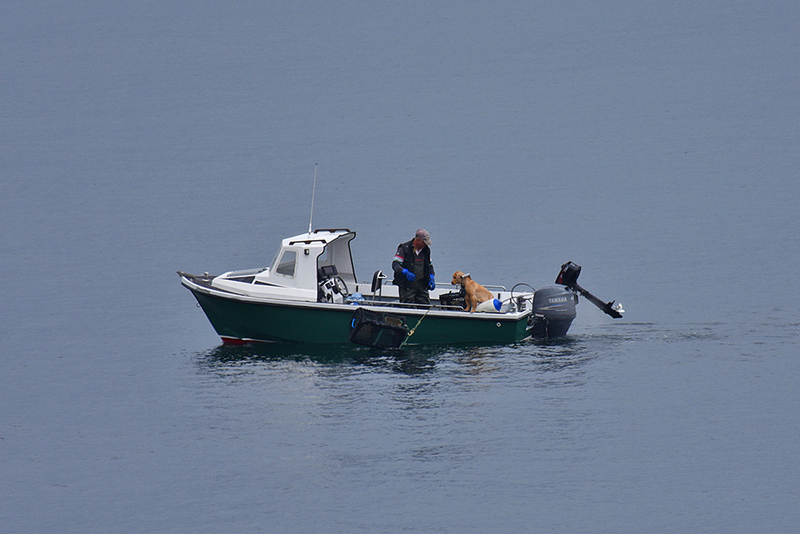 A slightly unusual helper with fishing, a dog. It was watching on as the fisherman checked his creels and was throwing them into Loch Indaal on a hazy day on Islay. This entry was posted in Cloudy Weather, New Post, Sea Loch and tagged dog, Fishing Boat, Islay, Loch Indaal, Rhinns of Islay by Armin Grewe. Bookmark the permalink.